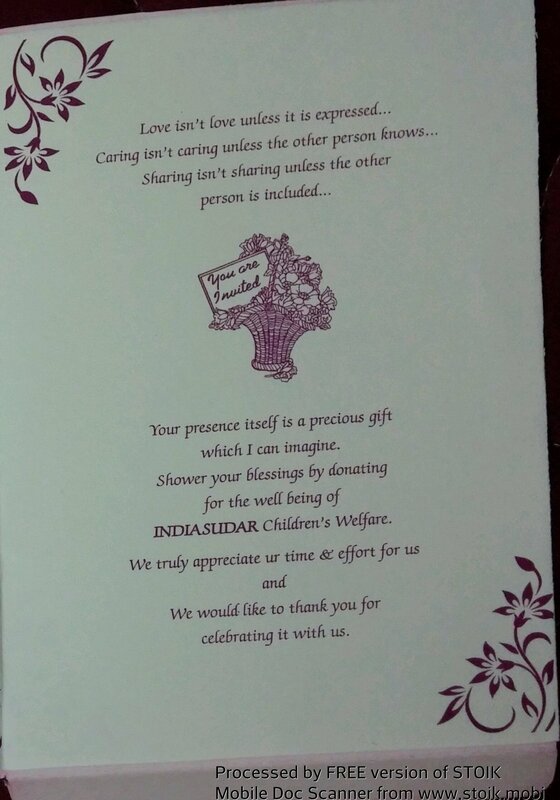 One of our well wisher of Indiasudar’s wedding Invitation is attached herewith. Ms. Jayasree has invited her friends for her marriage and requested to DONATE to INDIASUDAR instead of gifts.Its an innovative idea and one needs to have a great sense of dedication. Friends, We feel that this initiative itself is a GIFT for Indiasudar’s marching in the 11th year. Yes. We treasure this gift. We thank our members Prem , Sargunan and Srinivasan for the coordination. Jayasree and Naveen ! Indiasudar Wishes you a very joyous and blissful married life! In going after the BEST"
We give our sincere thanks to donor who have supported these project and en-lighten this student life. Here I have attached respective project report for your reference. And also we give thanks to work coordinator of this project Balamanikandan.K (313) for his valuable time. "A leader has the vision and conviction that a dream can be achieved. He inspires the power and energy to get it done"
Indiasudar is in 11th year. To achieve our vision and mission, Indiasudar needs more and more leaders. Let us welcome and congratulate the following members to the roles of Tamilnadu projects. Indiasudar plans to adopt the following school as one of the onsite. If anyone is interested , please support the needs. We need your support for this student for her Hostel fee Rs.8000. If anyone is interested , Please support her.